The primary and backup appliances must have identically matching SSL certificates for failover to be successful. Otherwise, in the event of failover, the backup appliance will be unable to connect with any BeyondTrust clients, such as representative consoles, customer clients, and so forth. 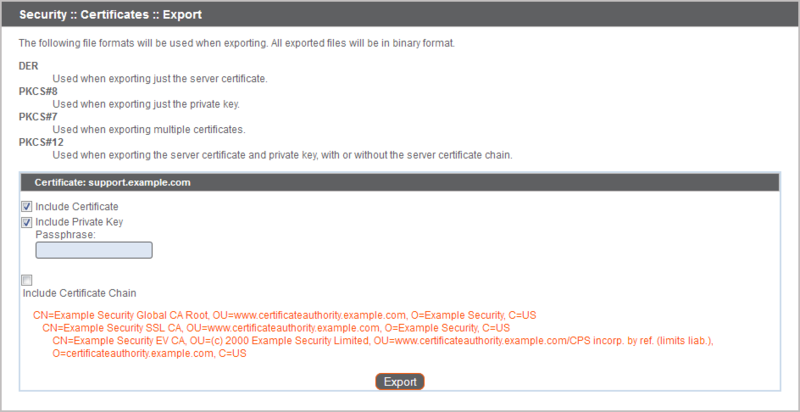 For connections that do not supply a Server Name Indication (SNI) or supply an incorrect SNI, select a default SSL certificate from the list to provide for these connections by clicking the button under the Default column. 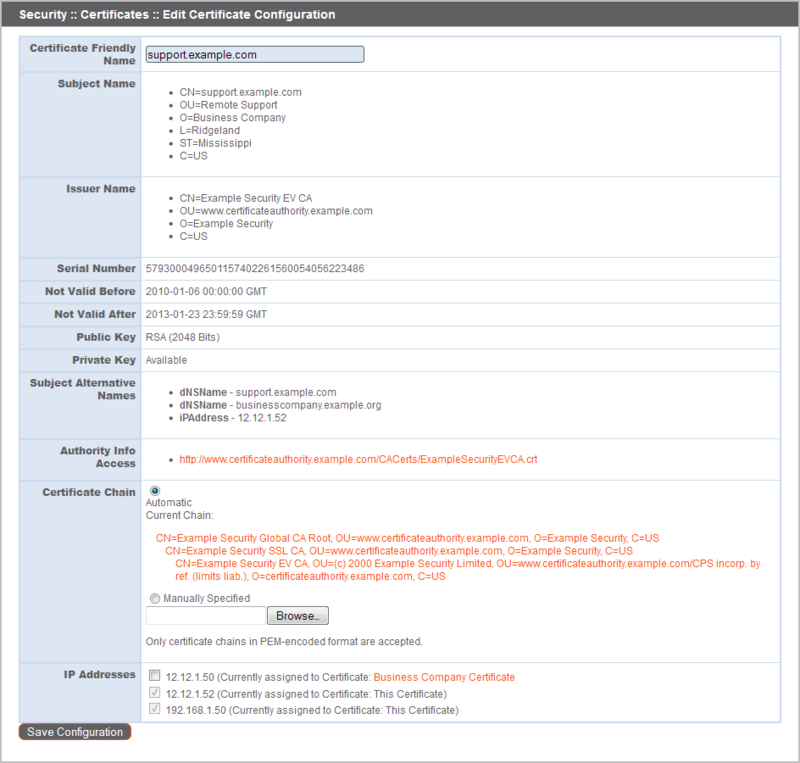 The default SSL certificate cannot be a self-signed certificate nor the default Secure Remote Access Appliance certificate provided for initial installation.